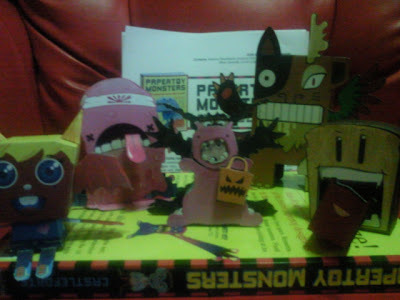 Brian Castleforte's much awaited Papertoy Monsters book is now out!!! 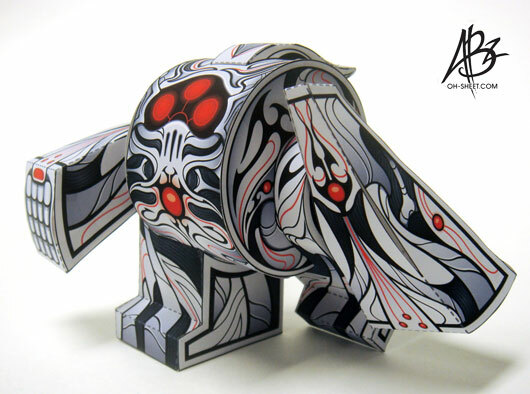 Included in the book are 50 original die-cut monsters designed by Brian and 24 of the top papertoy designers from around the world. 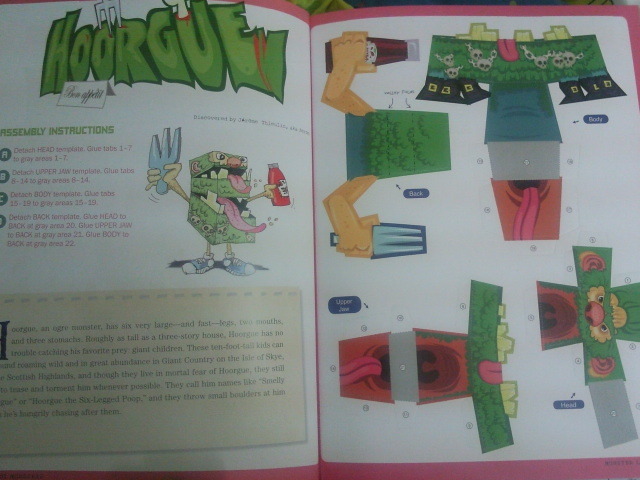 The book measures 8.5 x 11 which is similar to the size of card stock we normally use. 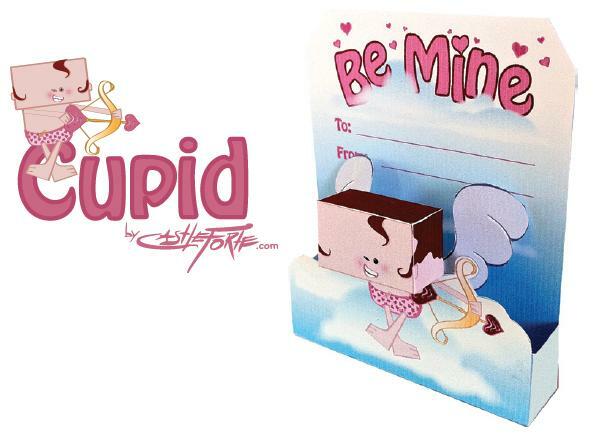 Also included are 10 different blank templates that you can design for yourself. I'd love to try and paint some of them when I get some free time. Get to know the 25 papertoy artists who made this fun book possible. 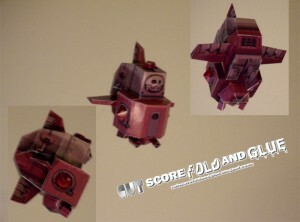 I've managed to build 5 adorable monsters for this review. That means there's 45 more left to build. That's a lot. I wonder when I'm gonna be able to build them all. From left to right are Sal Azad's Wingy Wingy, Dolly Oblong's The Blob, Brian Castleforte's Monsters Keepers, Jenni Bryan's The Experiment and Nick Knite's Tongue Toastie. This is definitely a must-have papertoy book for anyone who loves papercraft and monsters alike. This would make an excellent gift and a perfect way to introduce someone to the wonderful world papercraft. Available now for only $16.95. I want to thank Jillian of Workman Publishing for sending me a copy of this book. 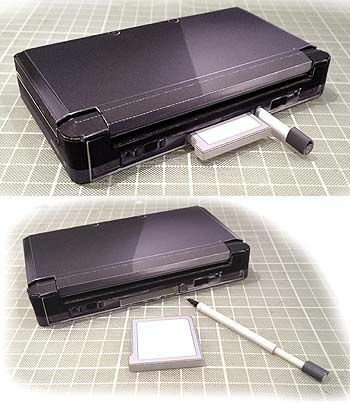 A 1:1 scale papercraft of Nintendo 3DS, an upcoming portable game console by Nintendo, which can produce "3D effects without the need for any special glasses." 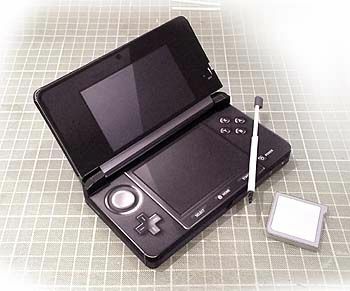 The console will be first released in Japan this February 26, 2011 for ¥25,000. 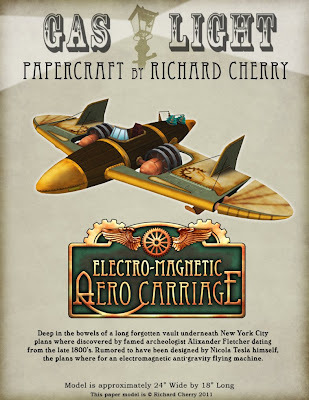 The aero carriage is an electro magnetic flying machine whose plans New York city. The paper model was designed by Richard Cherry. 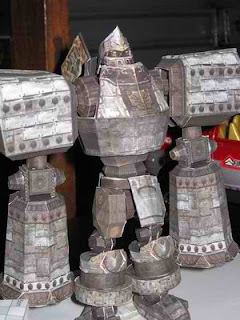 Rizky has just uploaded the built photo of his awesome-looking Extllabor papercraft. This robot papercraft is in 1:35 scale. Yeta is the wife of Yeto from the Legend of Zelda Twilight Princess. 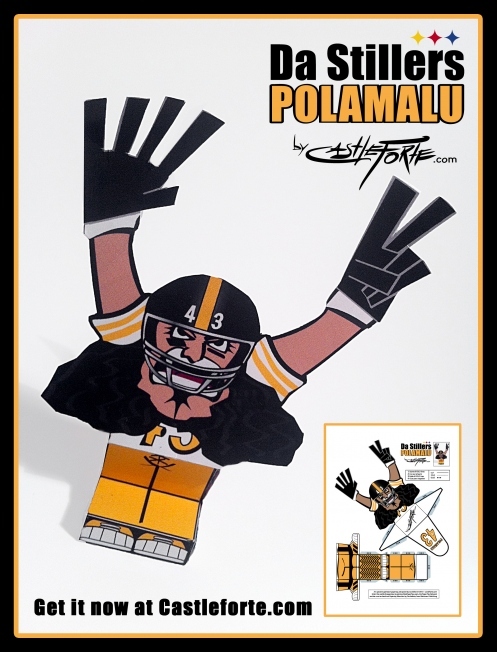 Brian Castleforte pays tribute to the American football player Troy Polamalu who plays for his favorite team Pittsburgh Steelers. 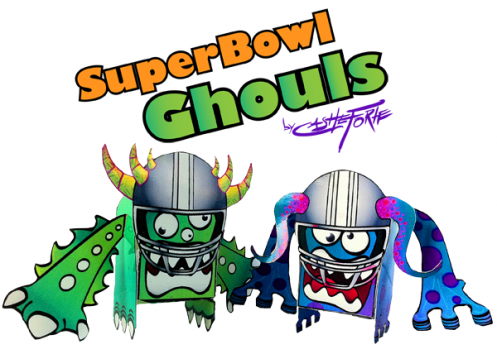 Brian Castleforte has designed these ghouls to celebrate the upcoming Superbowl and the successful release of his cool Papertoy Monsters book. 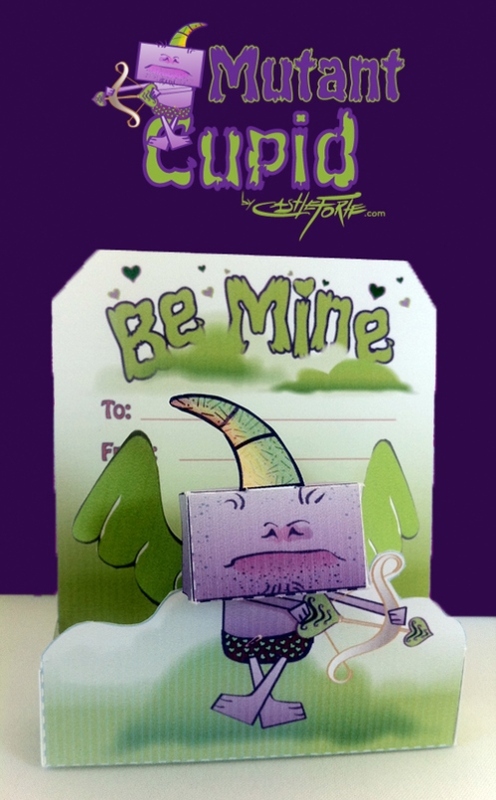 Here's a follow up to the Cupid papertoy I've posted earlier. 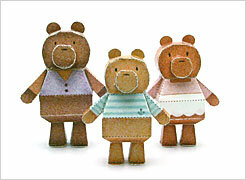 Meet the "Three Bears" from the fairy tale Goldilocks. 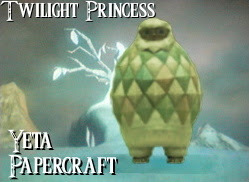 The Wizzrobe is one of the more commonly recurring Legend of Zelda enemies in the Zelda universe. 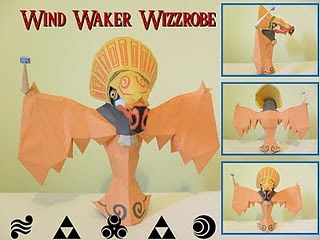 This one is from the Legend of Zelda Windwaker. Designed by deviantART user Squeezycheesecake. 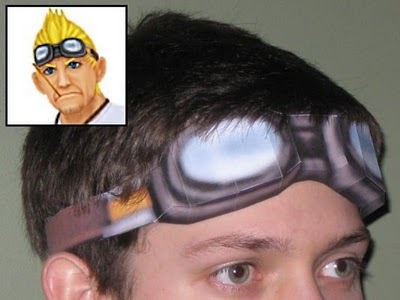 A 1:1 scaled goggles of Cid Highwind as it appeared in the Kingdom Hearts 2 game. Model by Tektonten. 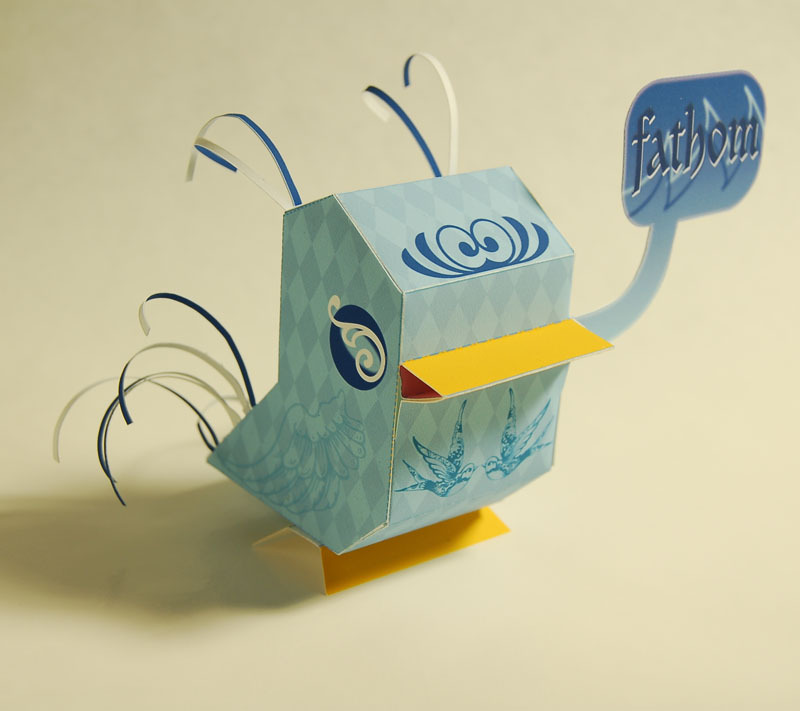 Nanibird gets a new custom from baykiddead (aka Garrison Beau Scott). 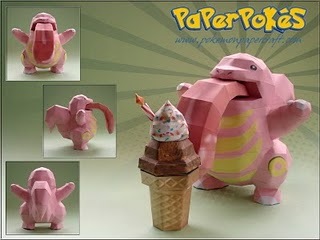 Lickitung is a normal type Pokemon that evolves into Lickilicky. They tend to lick whatever they come across as they look for food. Licks from its 6'6"-long tongue can paralyze foes. 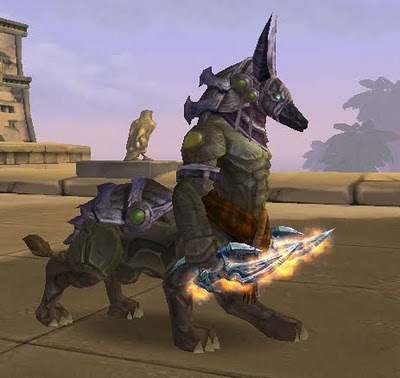 That’s one pretty cool helmet of the Tol’vir Jackal. 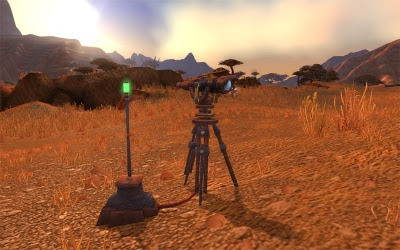 An archaeology survey tool found in the World of Warcraft. A seige golem can be summoned by Warsmiths at lvl 49 in the Lineage II game. Meet Jean, the ground hog who can predict the weather. 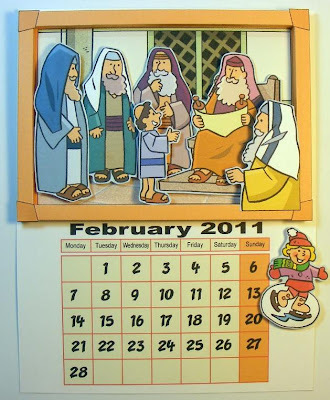 The February calendar is up. 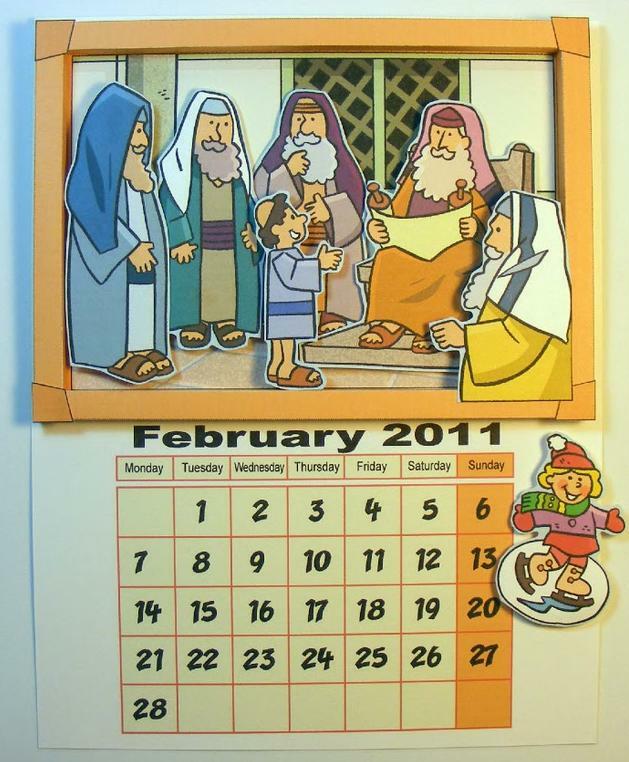 It depicts young Jesus’ visits to Jerusalem. Chain Chomps are enemies that first appeared in Super Mario Bros. 3. They resemble a metal ball and chain that behave like dogs. This model was taken from the Super Mario 64. Did you know that January 25 is Papertoy Monster Day? Come and join the fun as we celebrate this fun event by checking out Brian Castleforte’s fun video. 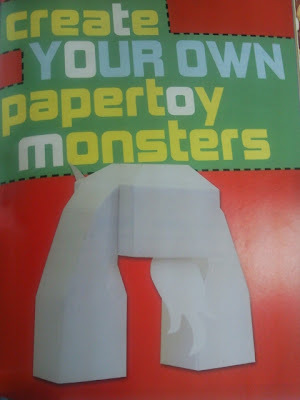 If you’re on facebook, take the papertoy monster quiz and find out which monster you are. 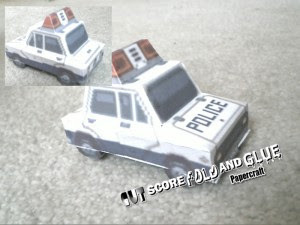 Stay tuned for more exciting news about this cool papertoy book. 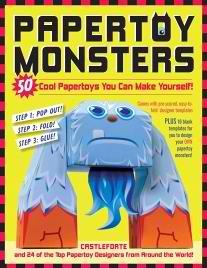 Papertoy Monsters is already out so go grab your copy!!! Here's Ironhide's vehicle mode GMC Topkick truck papercraft designed by Arif Suseno. 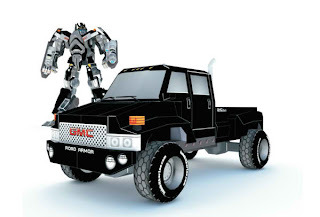 Ironhide is the Autobots' resident weapons specialist and Optimus Prime's old friend. 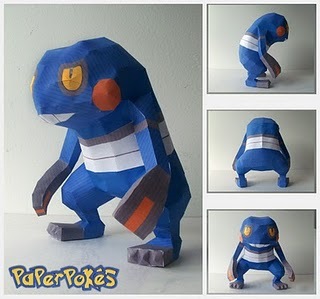 Croagunk is a dual-type Poison/Fighting Pokémon that evolves into Toxicroak. Another model from the Megaman Legends series. The Drache are attack fighters from the Bonne fleet that are used to attack targets. Marko Zubak did a nice custom of DMC's hoody papertoy. "The Kal-11s is now available at 4kids.tv. He features 12 different faces that can be stored in his head to act as a desktop calendar." 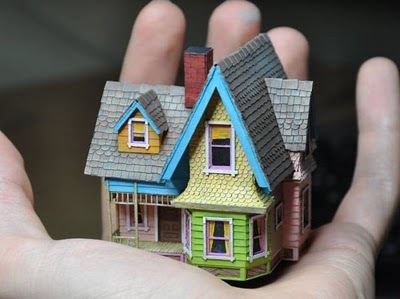 That cute little house looks really familiar. Well, it's Carl's house from Disney Pixar's Up movie. 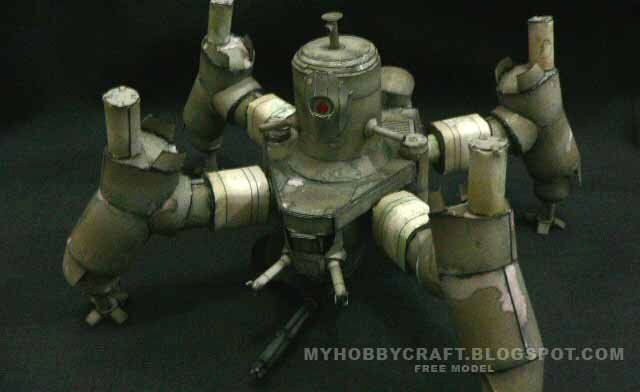 This model from Michal Miszta can be pretty tough to build and needs to be painted. 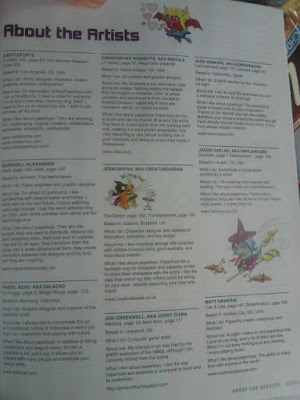 If you want the bigger version, go get the version from paper-replika. Yobemaycu papertoy's got a cool new custom from the very talended Abi. 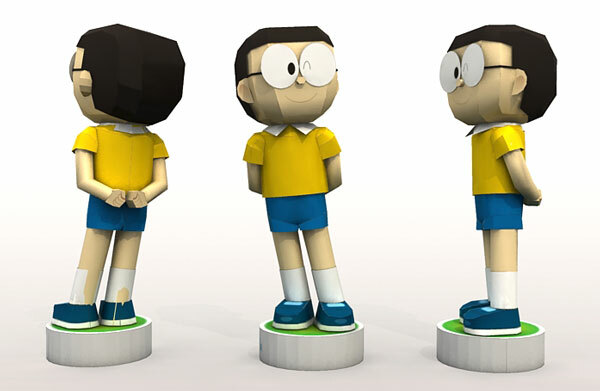 Nobita is one of the main characters from the funny anime Doraemon. He is the one whom Doraemon is tasked to help and save from misery and misfortunes. I really love that anime and despite it being originally shown back in the 70's, it never fails to amuse me. 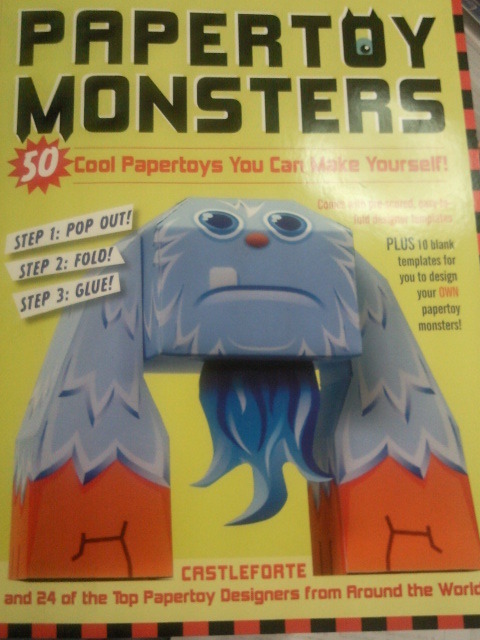 Want a scary, weird or goofy monster? Well, Dutch papertoy designer Loulou lets you create your very own monster. Check it out! 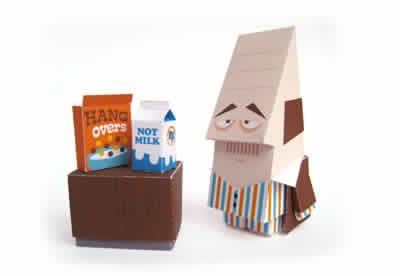 Lots of good models out there these days but some are just too complicated to build. That's why Marshall Alexander has designed something for those who want their models simple. 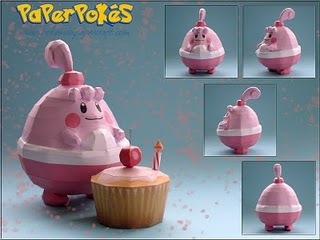 Happiny is a normal-type baby Pokémon who evolves into Chansey and then to Blissey. 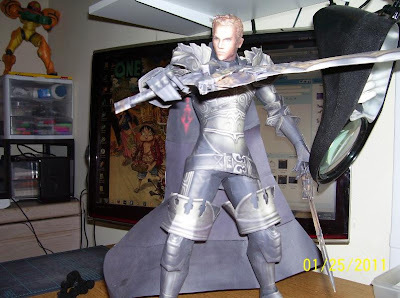 Ace has a pretty big model for you guys. 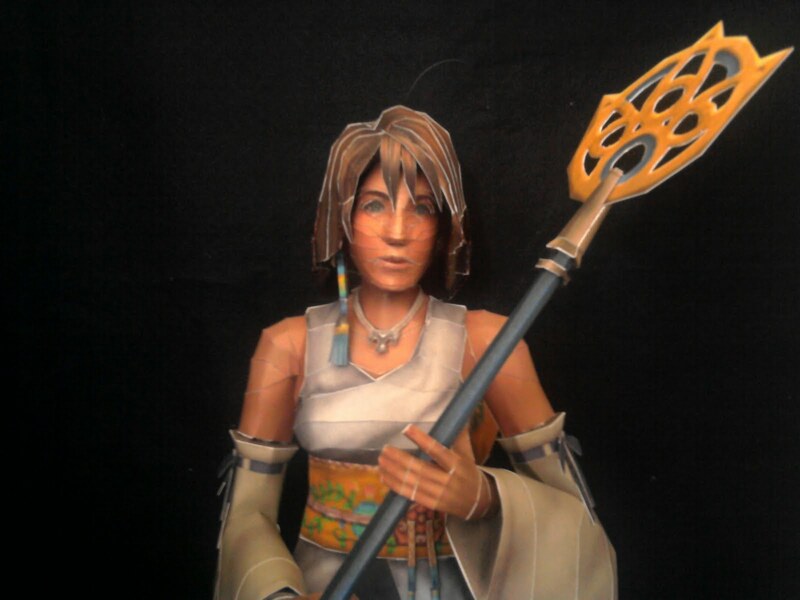 Yuna is the female protagonist of Final Fantasy X. The model stands at 60 cm tall. 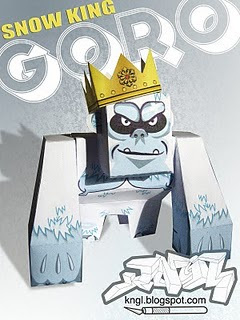 The Snow King is the latest custom of KNGL's Goro Papercraft. Rio Kinezono is one of the main characters in the 12 episode anime series Burn Up Scramble that was directed by Hiroki Hayashi and released in 2004. 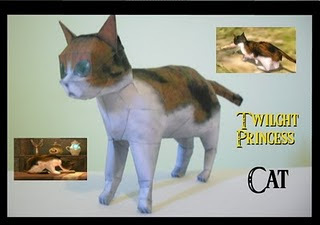 The papercraft model is pretty similar to those of Moekami's. 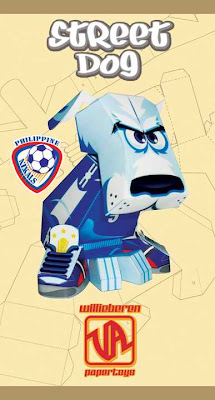 From Willie Beren is a Street Dog sporting the colors of the Philippine national football team's Azkals. Despite having the oldest national team in Asia, football or soccer is not that popular in the Philippines. However, the team's success in the 2010 AFF Suzuki Cup, the sport has gained some followers. Azkal which was derived from askal means "street dog" in Filipino. Fox Japan has made available for download three official Chronicles of Narnia papercrafts. 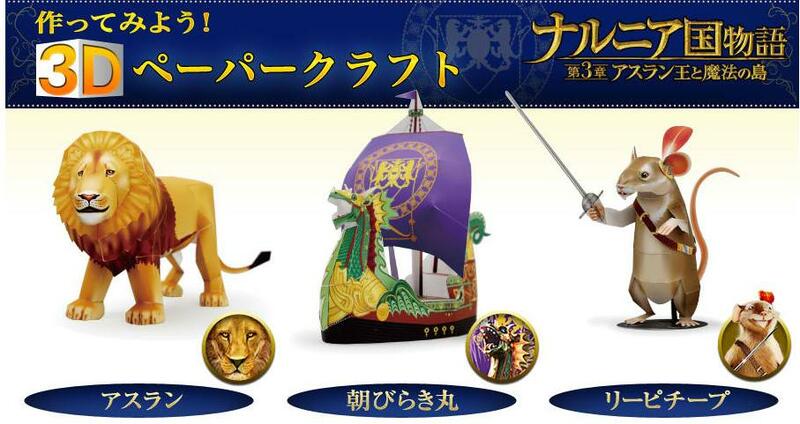 There's Aslan the "Great Lion", Dawn Treader royal ship and Reepicheep. 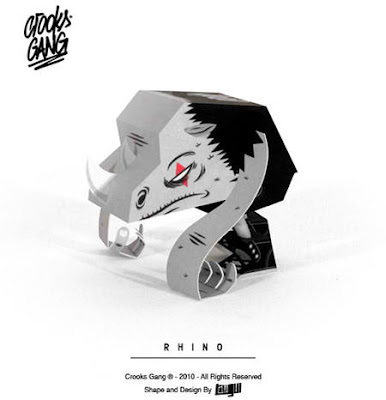 Tougui's Crooks Gang has a new member in the form of Rhino. 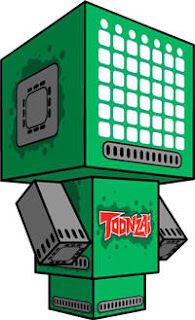 The Enforcement Droid Series 209, or ED-209, is a heavily-armed robot in the RoboCop franchise.The complete model will have 59 pages of parts. 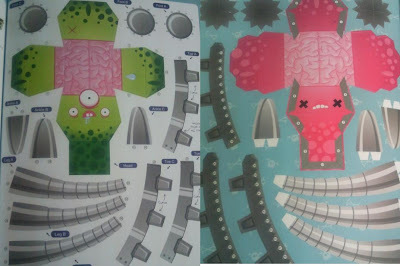 Only the head and the arms are available at the moment. I bet you haven't seen a female storm trooper before. A very nice creation from brenden. I'm sure Star Wars fanatics would love to have this in their collection. Abra is a Psychic-type Pokémon that closely resembles a fox. 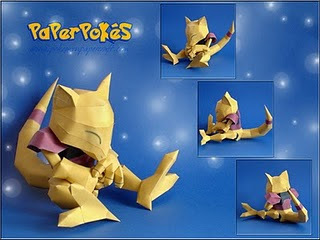 It evolves into Kadabra.